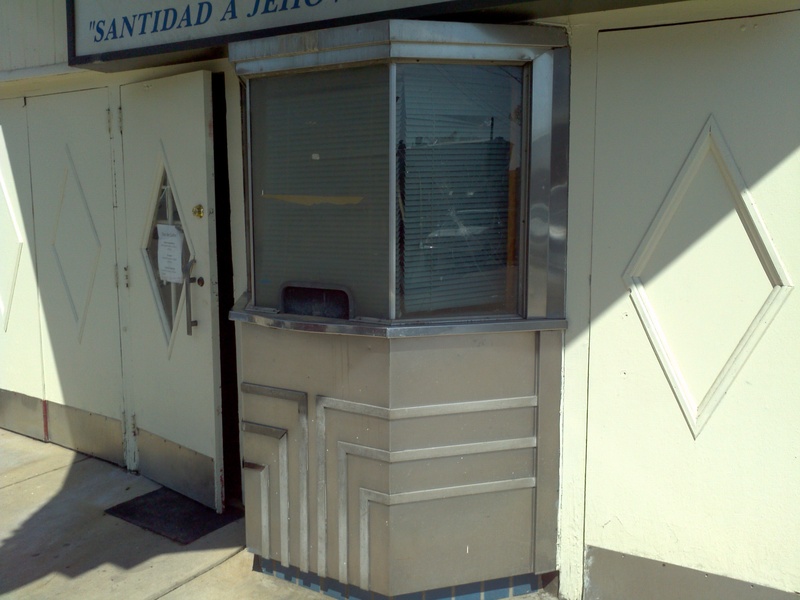 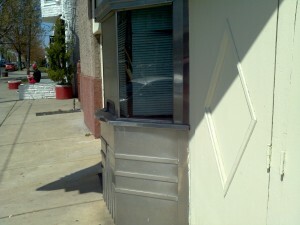 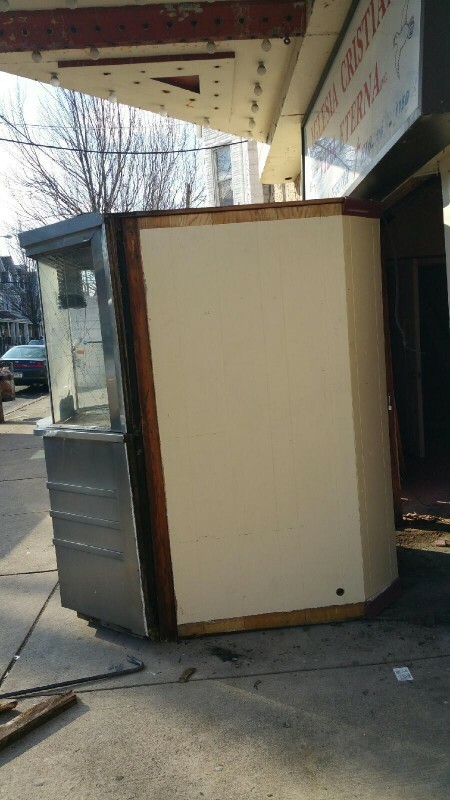 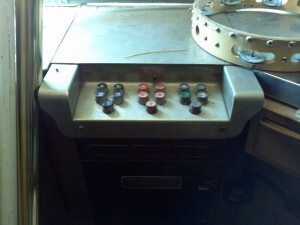 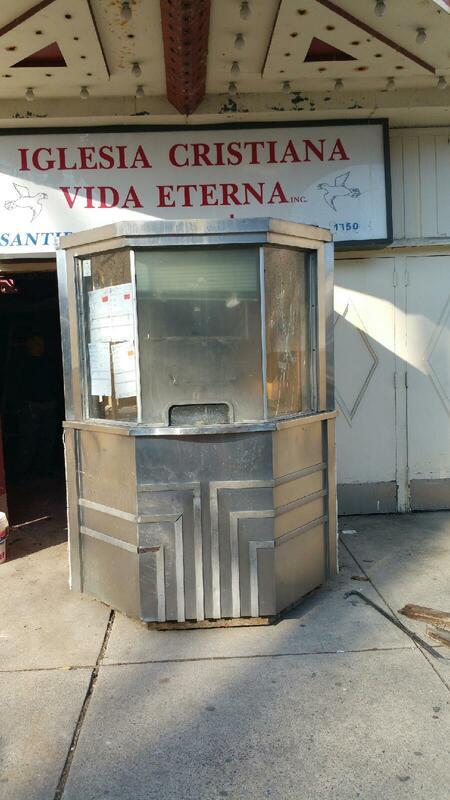 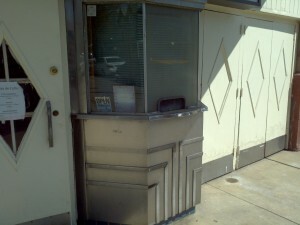 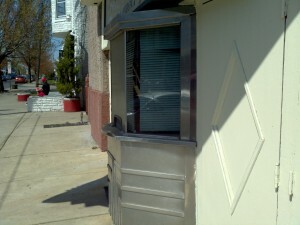 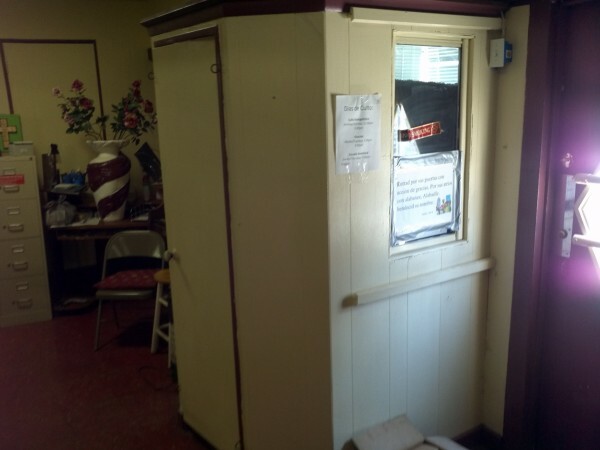 Vintage stainless steel art deco movie theater ticket booth in as found condition measuring 78″ deep x 63″wide x 84″ high. 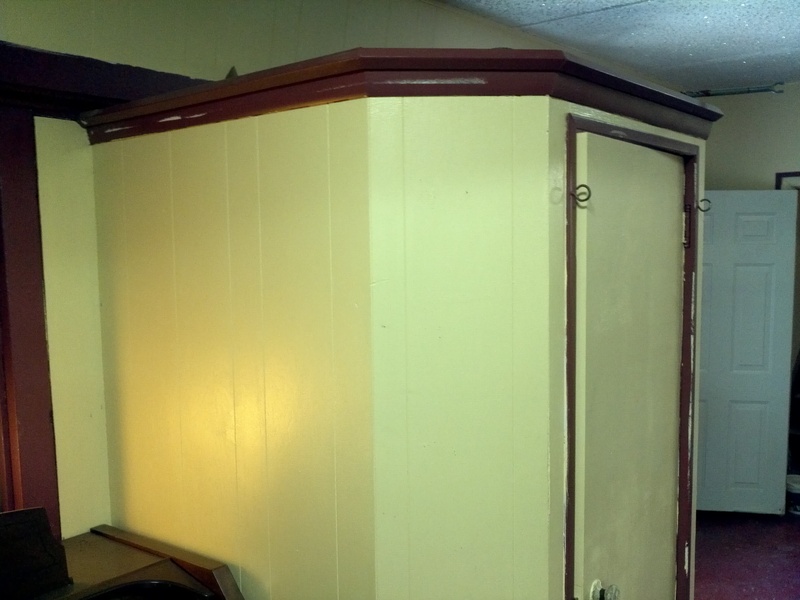 Booth came from a now closed theater in Allentown, PA. Will need restoration as the booth is loose from removal. Also needed are some pieces of glass and two missing decorative stainless steel straps. 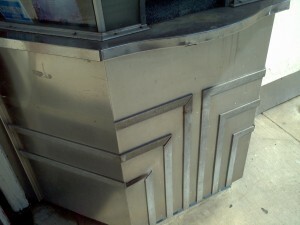 Hard to find as most have been destroyed over the years. 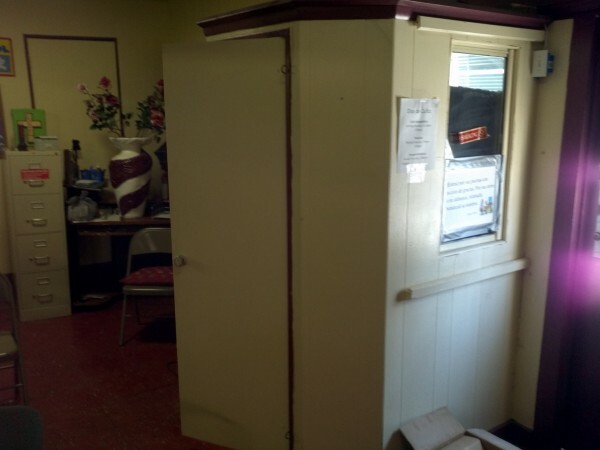 Just think of the possibilities………….